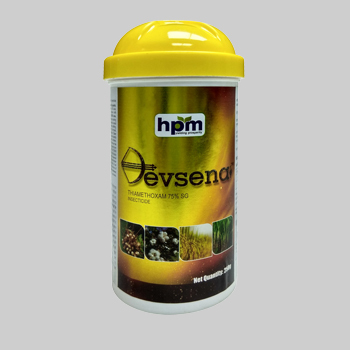 Devsena is broad spectrum systemic insecticide contains the active ingredient Thiamethoxam. Devsena is soil-applied insecticide and having quick action against sucking and chewing pests. It has labeled for use on Ground Nut, Sugarcane, Rice and Cotton. Devsena may direct the application at the base of the plant for optimum root uptake when making post-emergence applications. Devsena improves the plant from primary treatment, it took up by the plant faster which results higher yield and improved crop quality resulting longer-lasting systemic control. For use, measured out the required quantity of the Devsena and mix it well with a small quantity of water and add remaining quantity of water as specified with thorough agitation and apply as soil drenching in Ground Nut, Sugarcane and Cotton. For Rice measured out the required quantity of the product and dissolve in 500 ml of water to make solution for mixing and broadcasting with sand at the rate of 8 kg/acre. It has negligible effect on beneficial insects. 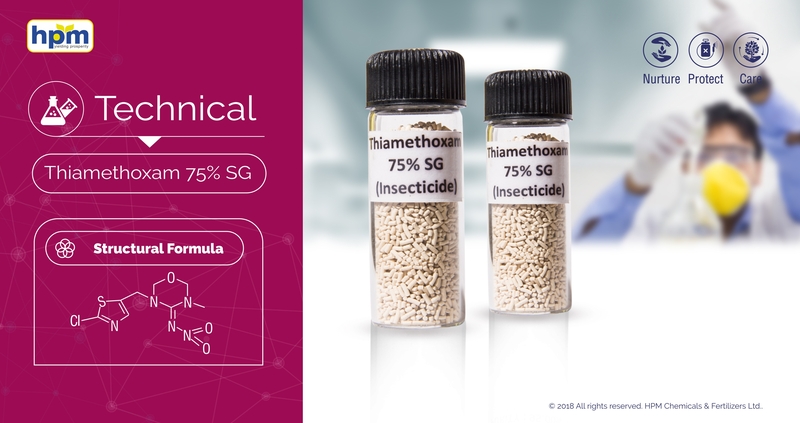 Thiamethoxam is agonist of the nicotinic acetylcholine receptor,affecting the synapses in the insect central nervous system. Insecticide with contact,stomach and systemic activity. It is broad spectrum systemic insecticide contains the active ingredient Thiamethoxam. It is soil-applied insecticide and having quick action against sucking and chewing pests. It has labelled for use on Ground Nut, Sugarcane, Rice and Cotton. It may direct the application at the base of the plant for optimum root uptake when making post-emergence applications. Thiamethoxam is quickly and completely absorbed, rapidly distributed in the body and rapidly eliminated. Degradation/metabolism has been studies in 6 different crops with soil, foliar and seed treatment application. It is slightly toxic for bobwhite quail and mallard ducks.it is highly toxic for honeybees. It is slightly toxic for bluegill sunfish, ship fish, warms. Very toxic to aquatic life with long lasting effects.